We travel to a new world to explore what Sony Pictures Home Entertainment’s Blu-Ray release of In Another World With My Smartphone – The Complete Series has to offer; so let’s find out. Thank God for technology. 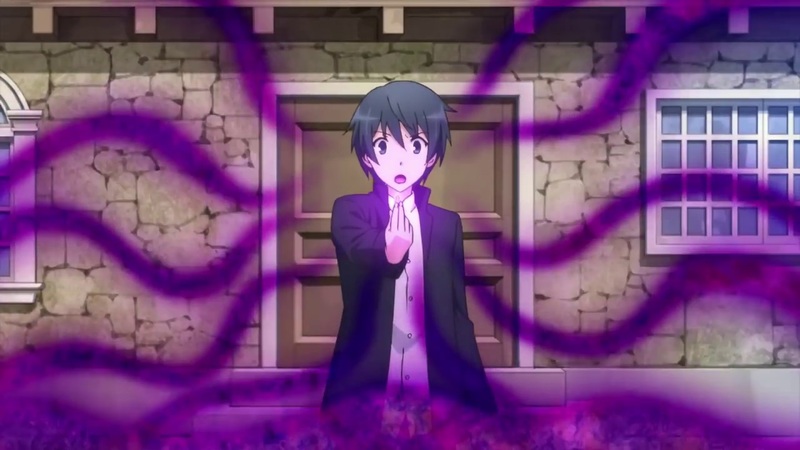 After an unfortunate accident involving a misplaced lightning bolt, Touya Mochizuki is killed. To make it up to him, God grants Touya a second chance at life in a fantastic new world; and he is free to take his smartphone along for the ride! With boundless God-given talent and a kind heat, Touya is thrust into a land of opportunities. Adventure, fame, fortune, and a harem of cute girls await him across this otherworldly realm. But despite being a magical and physical prodigy, balancing the affections of his companions with his day-to-day activities is one challenge he is definitely not prepared for! 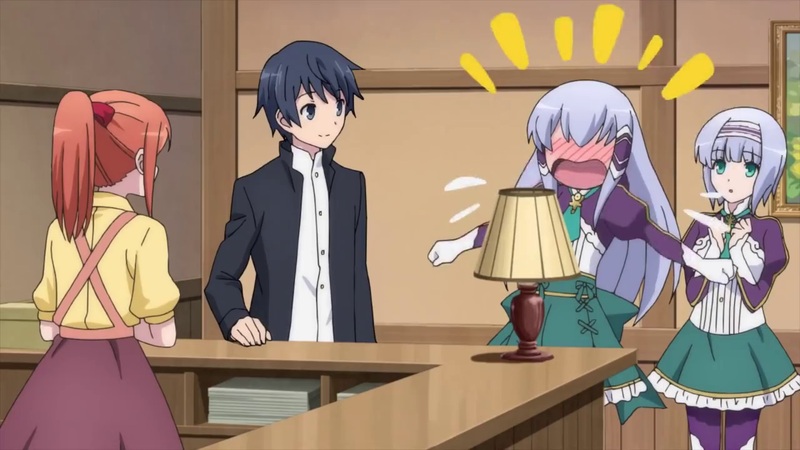 Adapted from Patora Fuyuhara’s light novel of the same name In Another World With My Smartphone is a harem-filled light-hearted (at times) fan-service series that seemingly goes nowhere before it gets anywhere. It’s a fun show with a unique cast of characters but has a seemingly non-existent storyline with no sense of continuity or natural flow. In truth you watch this show for the characters and the antics they get up to as the story is pretty much non-existent; especially when it ends on a rather interesting cliff-hanger which can only be concluded from the source material. Cliff-hangers and disappointing storylines aside In Another World With My Smartphone follows the adventure of Touya Mochizuki who after being accidentally killed by God in his own world finds himself reborn in an alternate world filled with monsters and magic. During his reincarnation into this world God allowed him one desire; and that desire was the benefit of taking along his smartphone to this strange new world. That’s not all either as God also boosted Touya’s physical and magical abilities as this is a magical filled world. Upon arriving in this new world Touya Mochizuki finds himself rescuing two girls, later to be revealed as Elze Silhoueska and younger sister Linze Silhoueska, from street merchants of some kind. This chance encounter leads Touya to befriend these two girls and in turn they begin to share knowledge about the world they inhabit and the magical abilities one can posses. As a result of this Touya goes through all the different magical types, as well as the specialised Null Magic, and learns that he can wield them all – much to the interest of Elze and Linze. Regardless of this discovery Elze, Linze and Touya form a partnership to take on guild quests in exchange for money – and as such venture off into different lands for different tasks. This opens up Touya too many new encounters during his daily life and in turn makes new friends along the way. 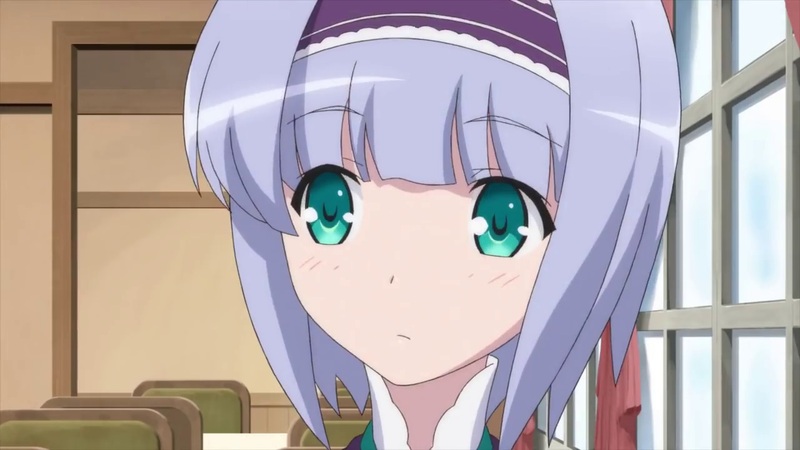 For instance one particular episode sees Elze, Linze and Touya travel to a new city and in doing so save the duke’s daughter, Sushie Urnea Ortlinde , from bandits. As a result of this Touya befriends the Duke Alfred Urnes Ortlinde and is often called upon for multiple tasks and requests. 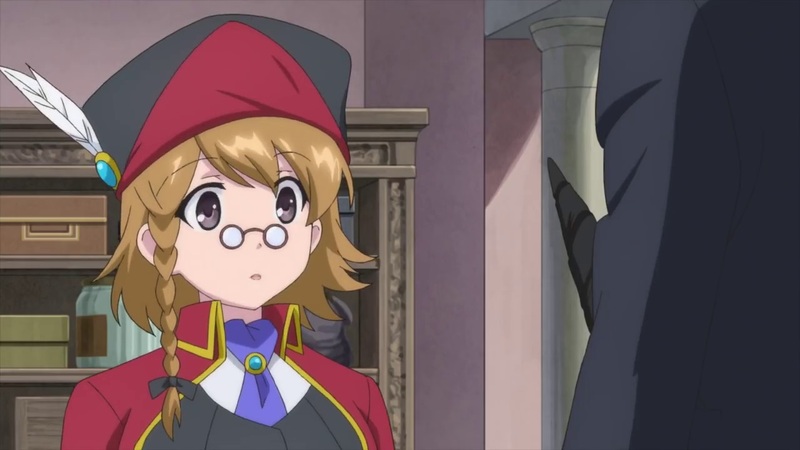 Another episode meanwhile, and a key episode at that, sees Touya save Duke Alfred Urnes Ortlinde brother (King Tristwin) which causes his daughter, Yumina Urnea Belfast, to announce her plans to marry Touya as soon as possible. This ‘wedding proposal’ sparks the shows (in my mind) true talking point; a harem filled with many female characters – all of which are technically minors. 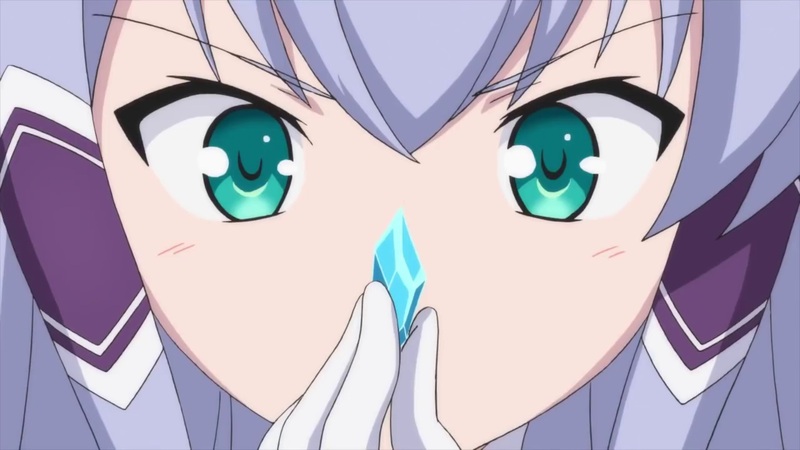 Fortunately In Another World With My Smartphone does not offer heavy fan-service moments but it does have suggestive remarks and some fan-service themes such as Slime destroying clothing, a beach episode and walking in on characters getting changed. Despite these ‘small’ elements it’s not a fan-service show; but it could have easily been one. So what exactly is the talking point? Well with new female companions added to the rosta per episode we soon find ourselves with characters trying to understand their feelings for Touya – while Yumina is outspoken with her desire to wed Touya. As such it is a ‘rinse and repeat’ motion until Leen, a Fairy of the Tribe of Mismede and court mage of the Kingdom of Mismede, requests the assistance of Touya in searching for ancient ruins across the land. This ‘quest’ distracts viewers from the true objective; the girls understanding their feelings for Touya, and this quest sees Touya venture to a mysterious flying garden that was apparently created centuries ago by another person who could wield all magic types. With this discovery found it creates more questions. Questions that are left unanswered. As this point, and some persussion from Yumina, each of the girls decide that they will share Touya and marry him when he is ready. Alas this is where the show abruptly ends; a rather inconclusive ending with many characters expressing desires and not acting upon them. Additionally we also have the tease of new characters for the next portion of the story; a story only available within the source material. 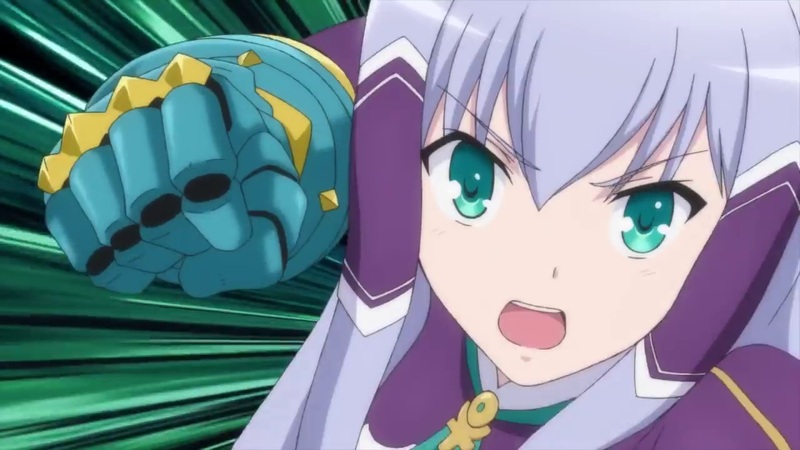 In Another World With My Smartphone has many problems but it wasn’t solely for the lack of a developing storyline, as some might say the character development and emotions behind them were the story, but it’s the lack of continuity and the sudden stops of story. Continuity of this kind is rarely an issue in anime series but here it is a common issue; intentional or not it is just annoying. For instance when asked about his Smartphone Touya describes it as a magic box, but to other characters he calls it a smartphone, and then later calls it a magic device that stores pictures. No additional questions are asked; even when all the characters are nearby. That’s not the only sense of continuity either as during introductions Touya declares different locations on where he has come from; yet no-one asks “that’s not what you told me” other than one instance during the second/third episode. This sense of continuity is also broken up with still artwork during episodes. Usually these would be used at the half-way-point in an episode (which is instead the shows logos) but throughout an episode once a story segment has been completed (such as a conversation about magic) a still piece of artwork will appear depicting what happened before moving onto the next scene. It’s not a scene change; its a full stop to experience and creates disconnect between the flow of the story and the events that are occurring on screen. It feels like lazy writing and breaks up the immersion. Just like previous FUNimation releases Sony Pictures Home Entertainment have opted to use a modified version of the North American release so while this set retain the supplementary content related to the show it does lose out on other FUNimation related promotional assets; such as the US Trailer and Trailers for other FUNimation products. In terms of supplementary content then viewers can expect an English Cast Audio Commentary (for Episode 8) on the first disc, an English Cast Video Commentary (for Episode 2), Eye catch Still Gallery and Textless Songs with different ending variations being included. Its your regular amount of supplementary content for a FUNimation release so no surprises here; but surprises can be found within the Cast Commentaries. 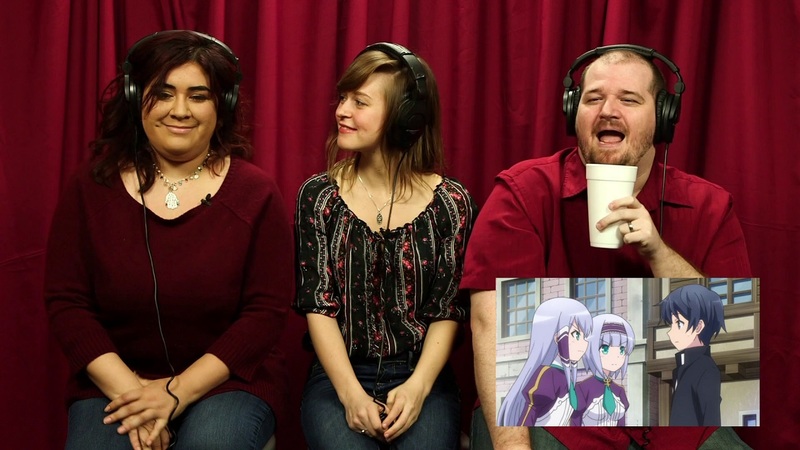 As one would expect the English Cast Commentaries (and in this case Video Commentary) acts as a way for the English Dub actors and ADR Director to express their interest in the series and what it was like to work on the project. Unfortunately the commentary here is uninformative, sometimes incorrect and filled with spoilers. In goes without saying that these commentaries should be avoided until the entire series has been watched; that is unless you want parts of the show being spoiled. In Another World With My Smartphone left me with mixed options; the opening portions of the show offered an intriquing series that could have expanded into something more sinister with nations fighting for power. Instead it focuses on introducing female cast and exploring their personal interests and desires; of which lead to them wanting to marry Touya; especially the youngest of the group – Lumina. It’s a very rinse and repeat show that quickly becomes stale and the only saving grace is that the characters themselves each have their own unique personalities and quirks. 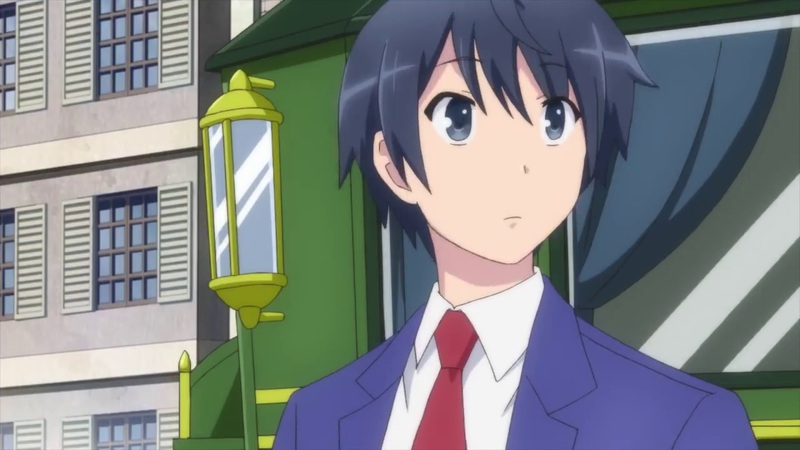 In summary In Another World With My Smartphone follows Touya Mochizuki after being reincarnated in another world with his smartphone that is filled with magic. After arriving he befriends two capable female characters and – after large introductions – agrees to join them in a guild. From here Touya and his two female companions take on quests around the kingdom and in doing so expand their friend list with characters from different lands and kingdoms; with Touya being the centre of it all. Be it defeating monsters, saving a kingdom from a coup or protecting a maiden in distress; Touya pulls through and in turn gets the affection of the girls… to which is when the series ends in a rather adrupt fashion with a tease for future storylines.If you are looking for a light-hearted harem set in a magical world then In Another World With My Smartphone is a show worth checking out; but it’s not a show I would easily recommend unless you are looking for something incomplete and empty. Regardless of the show itself the Blu-Ray is ‘as expected’ with the traditional FUNimation treatment; although a 5.1 surround sound track wasn’t entirely needed as it hardly makes use of the benefits it could produce. A relatively simplistic and disappointing story; but a well rounded release is all Sony Pictures Home Entertainment’s release of In Another With My Smartphone has to offer. 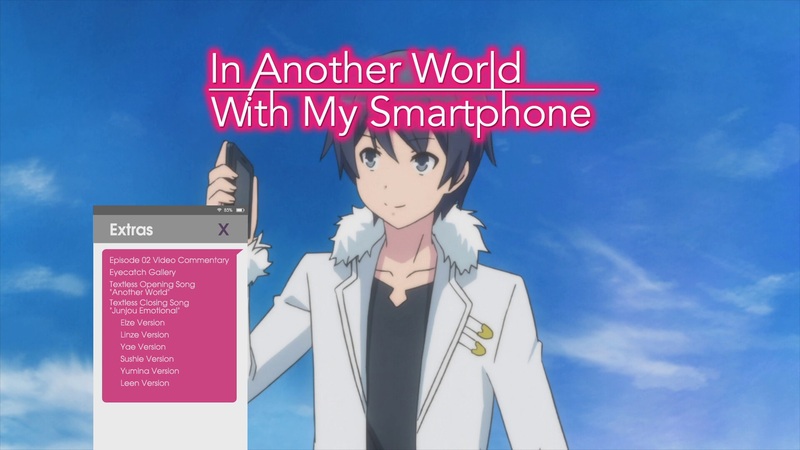 In Another World With My Smartphone – The Complete Series will be available as a Blu-Ray & DVD Combo Pack on the 29th October 2018.